Eleven years ago I took a break from corporate life to raise my children. Approximately ten years ago I decided to do something I’d always wanted to do: write a book. The practice became addictive, and then I learned how to publish, promote and blog. To be perfectly honest, I loved every bit of it and I still do. I fell in love with the written word, and it has become a lifelong love. Nearly twelve years later, I have written and self-published countless books in both fiction and non-fiction. The whole process is still very enjoyable to me. Words, story ideas, and scenes come to me always. However, while pouring my heart and soul into writing, publishing, promoting, etc., I learned a very painful lesson: Be careful not to make the written word your be-all-and-end-all. You see, writing, while some can make it their living, the odds are very stong against most of us. As a writer, you have to be rational and realistic, and have a career already in place. If your books do become successful enough that you can quit your day job, great, but more than likely that isn’t going to happen, and you have to remember that always. Writing should be a love, and something you enjoy doing when all your other things are taken care of. And as a love, you need to make time to do it every day, for yourself. Last year, I returned to work after a ten year hiatus. The tables turned; I took a break from promoting and blogging, but I never stopped writing. Writing is a part of who I am now and it will always will be that way. Now that I’ve adjusted to working full-time, I can also slowly return to promoting and blogging. So far I’ve touched on Facebook, Twitter, and I’ve continued posting some of my books on Wattpad. If you love writing, just be careful and make sure that isn’t all that you love. With all of the obsession over writing, I’d forgotten how much I also loved to work; to interact with live people, rather than just cyberspace and e-people, if you will. Also, writing doesn’t pay…at least, it doesn’t pay well, and having a paycheck; contributing to your family, is a very rewarding experience. 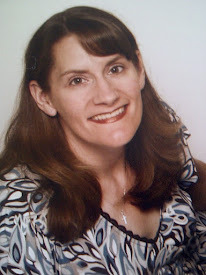 Check out my books on Amazon, Kobo, and Wattpad. 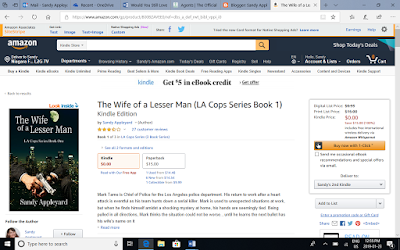 The first book in my LA Cops Series is always free on Amazon, and the first book in my ‘To Hide in Holly Springs’, and ‘Calamity Place Romance’ series are just 99 cents on Amazon.